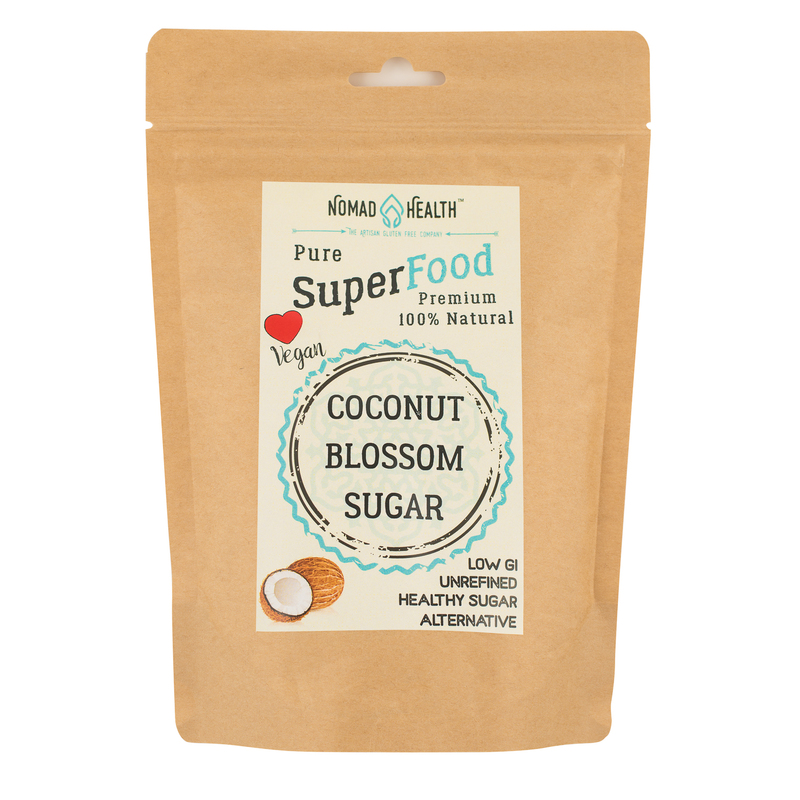 This traditional Asian sweetener made from coconut palm flower nectar, which is one of the most popular sugar types today. Because of its many beneficial health effects, it is called a "miracle". The earliest written material was made and consumed 5000 years ago, the way of processing has changed since then, only evaporating the water content of the syrup from the flower. 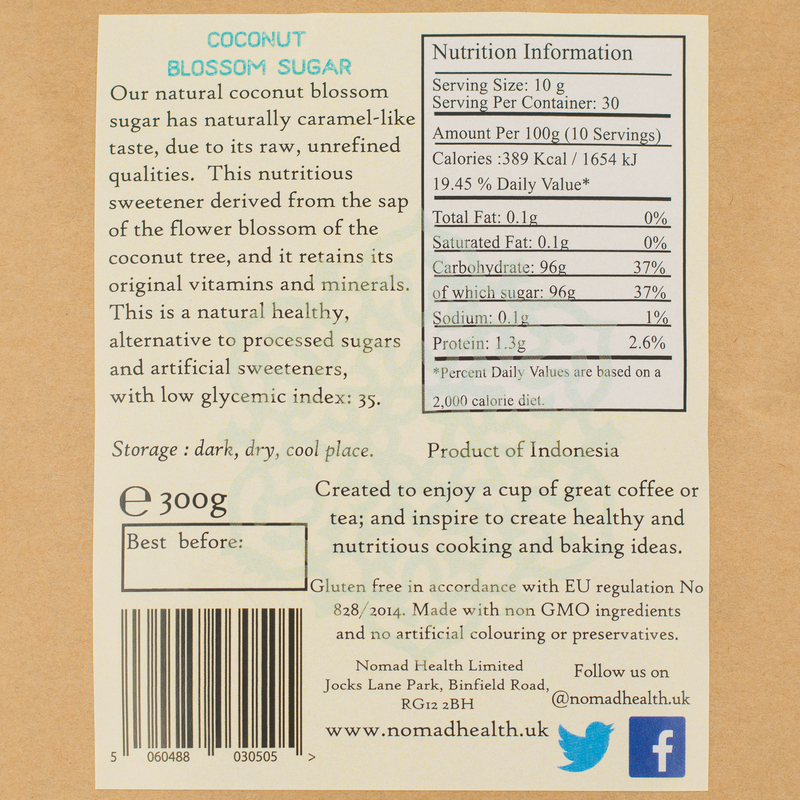 Unbleached and unrefined, the taste is slightly caramellike, not coconut. Use in tea, coffee, cakes and cooking. Low glycemic index (GI = 35), the body slowly absorbs and does not elevate the blood sugar level very much. High mineral content, 18 times more potassium than brown brown sugar, 30 times as much phosphorus and more than 10 times as much zinc as magnesium, zinc, iron, B1, B2, B3 and B6 source of vitamins. 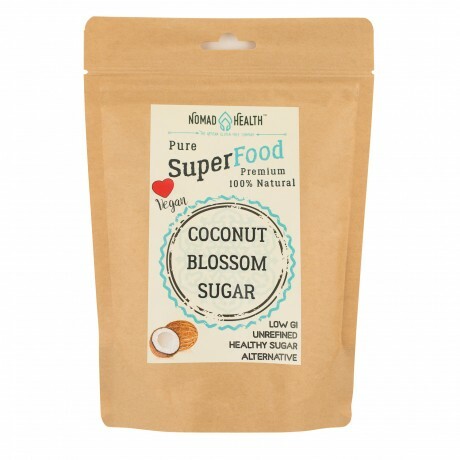 There are 16 amino acids in the coconut compartment, most of which are glutamine, which supports the immune system and contributes to muscle growth and regeneration in sports.Larger amounts of inositol also protect the liver, prevents fats from accumulating in the liver and bile, increases fat utilization in the body, thus promoting fat burning.It protects against the deposits of cholesterol in the vascular wall because it increases its use. 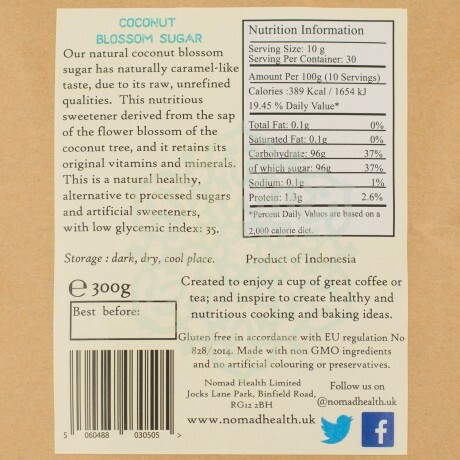 This product is dispatched by Nomad Health . This item has a shipping weight of 320g. Please note: this item has special delivery requirements so £2.50 is added to the delivery charges indicated below.